Located on a large lot in a private cul-de-sac, this home has been updated through out. 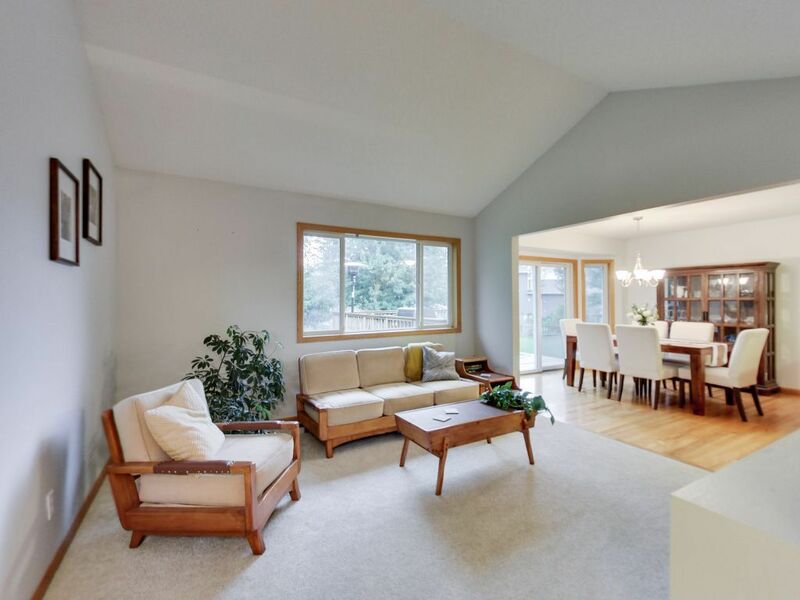 This sun filled home offers a delightful open main level with vaulted ceilings. You will love this peaceful location minutes from the highway and shopping. The gorgeous kitchen features granite countertops and new stainless steel appliances. The adjacent dining area opens to a large deck overlooking the private backyard. The large master suite features a walk-in closet and remodeled bathroom with an amazing tiled shower. A second bedroom, 3/4 bath and laundry complete the main floor level. The Lower level was recently finished with a huge family room, third bedroom and full bath. PLEASE READ! 21411Foxtail.Com REQUIRES CONSIDERATION FOR AND AS A CONDITION OF ALLOWING YOU ACCESS. ALL PERSONS UNDER THE AGE OF 18 ARE DENIED ACCESS TO 21411Foxtail.Com. IF YOU ARE UNDER 18 YEARS OF AGE, IT IS UNLAWFUL FOR YOU TO VISIT, READ, OR INTERACT WITH 21411Foxtail.Com OR ITS CONTENTS IN ANY MANNER. 21411Foxtail.Com SPECIFICALLY DENIES ACCESS TO ANY INDIVIDUAL THAT IS COVERED BY THE CHILD ONLINE PRIVACY ACT (COPA) OF 1998. 21411Foxtail.Com contains links to other web sites. Please note that when you click on one of these links, you are moving to another web site. We encourage you to read the privacy statements of these linked sites as their privacy policies may differ from ours. Do you have a good faith belief that your intellectual property rights have been violated by Barker Hedges Group? Do you have a good faith belief that a third party may have uploaded content to 21411Foxtail.Com? 1. Please describe the copyrighted material, work or other intellectual property (collectively "Material") which you believe is being infringed upon, and where on the 21411Foxtail.Com website the Material is located.